Wellbeing Essentials Health Kit – For Maintaining Healthy Energy and Vitality. Wellbeing essentials kit Includes…. 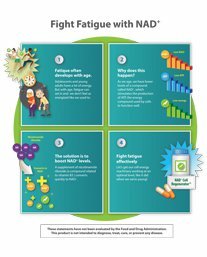 NAD+ Cell Regenerator™ – Promotes systemic youthful functions and boosts healthy cellular metabolism with a clinically studied dose of NIAGEN® nicotinamide riboside – a patented compound that helps inhibit the age-related decline in NAD+, a co-enzyme critical to healthy cellular metabolism. Rhodiola Extract – Rhodiola supports cellular energy metabolism by encouraging higher adenosine triphosphate (ATP) levels in the mitochondria. This means more cellular energy for your body! Our Rhodiola Extract uses authentic Rhodiola rosea and is standardised to 3% rosavin and not less than 1% salidroside, the two most potent compounds found in the rhodiola extracts used in clinical trials. 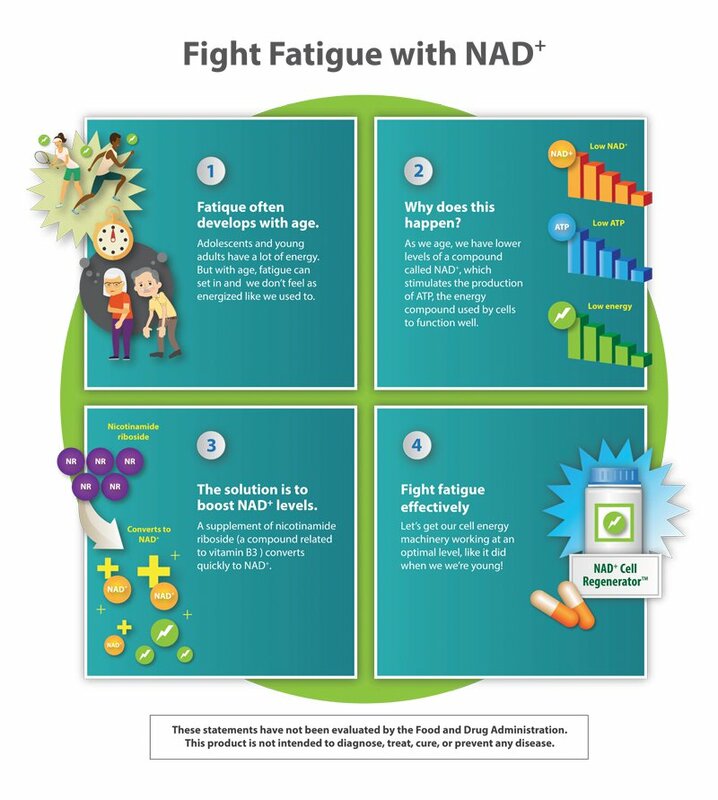 Adrenal Energy Formula – When properly supported, the mechanism known as homeostasis enables the body to maintain its normal balance during stress, helping us to remain energized and focused. The result is that an estimated 75% – 90% of visits to primary care physicians are now related to the effects of stress. Even more alarming is a recently published study linking stress with shorter telomeres (the caps on the ends of chromosomes), which is associated with accelerated aging! 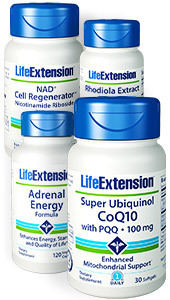 Super Ubiquinol CoQ10 with PQQ – CoQ10 is required to convert fats and sugars into usable cellular energy. 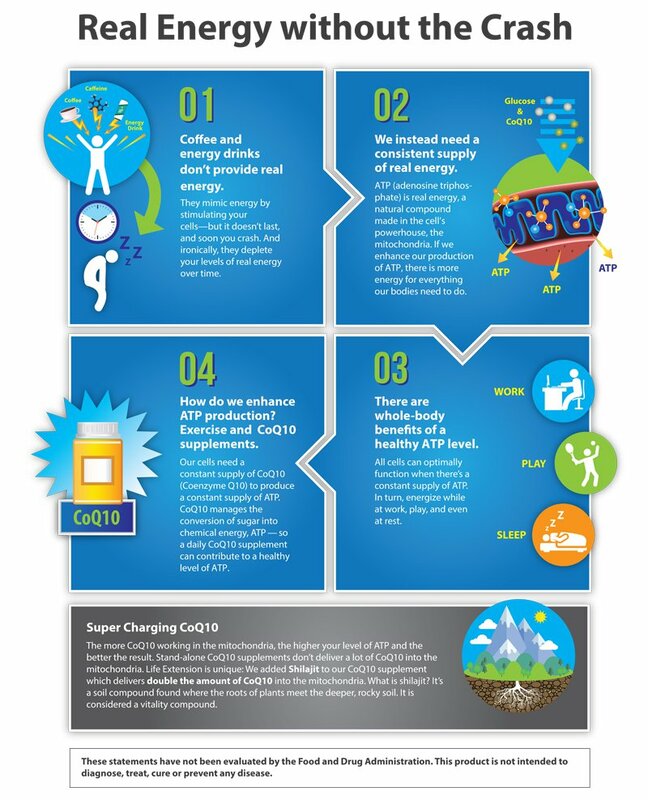 And our Super Ubiquinol CoQ10 with BioPQQ® contains three key nutrients to boost energy production at the cellular level: super absorb-able ubiquinol CoQ10, shilajit, and PQQ. 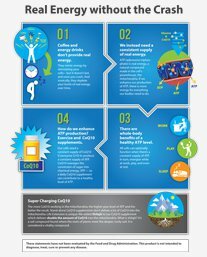 The cellular energy support these nutrients provide benefits your heart, brain, kidneys … and all the other cells in your body which require high levels of energy to function properly. Take one (1) capsule, twice daily on an empty stomach, or as recommended by a healthcare practitioner.